Festival Friends - where does the time go? Just over four weeks left to Christmas! And, more importantly, just fourteen weeks to the 11th annual Ennis Book Club Festival. 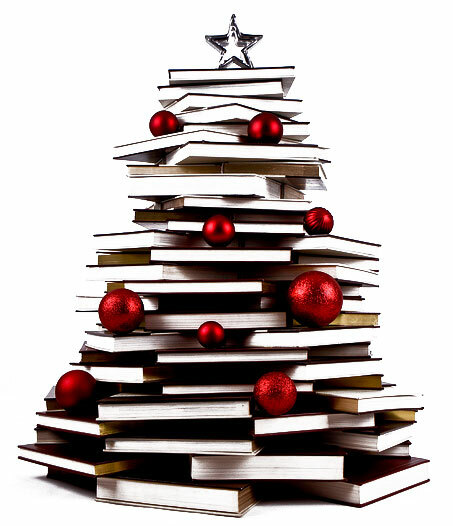 our Festival Weekend Pass Special Offer – the perfect Xmas gift for the avid reader in your life! 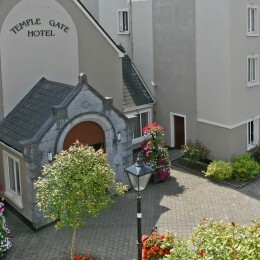 the lucky winner of our weekend Festival stay in the Temple Gate Hotel, Ennis. a new competition, especially for Book Clubs, for November. The first of our 2017 Festival events are on sale! What do you think you might dip into? An evening of deadpan humour and hypnotic writing with Paul Durcan? A look-back over an acclaimed 40-year writing career with Rose Tremain? Or, why not be part of the first Rick O’Shea Bookclub Special outside of Dublin with author John Boyne. 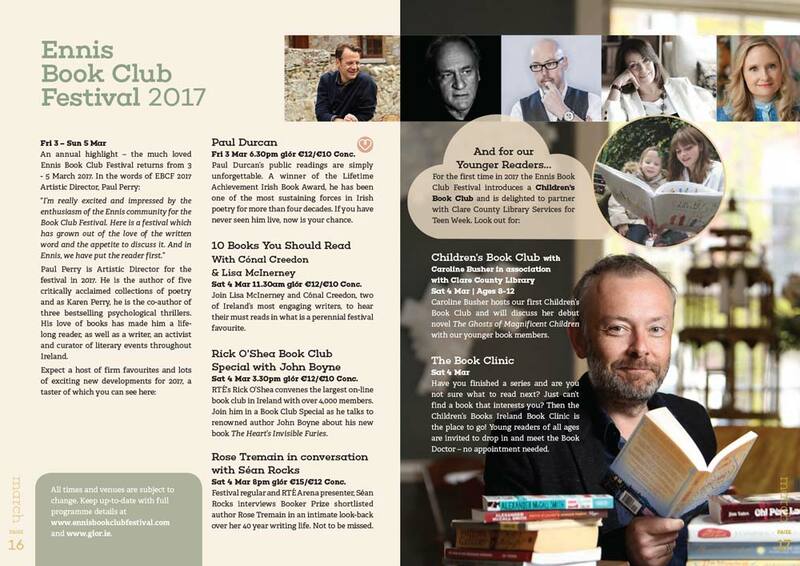 Details of these and other Festival events, including our first ever EBCF Children’s programme, available on our website www.ennisbookclubfestival.com. Tickets on sale through the glór Box Office – Tel: 065 684 3103; www.glor.ie. Lots more to reveal over the coming months, so check back regularly for 2017 programme updates. * excludes Sunday lunch event at the Old Ground Hotel Ennis and the Ennis Walking Tours. We had a huge response to our October competition for a weekend stay in the Temple Gate Hotel. And yes, it was Hugo Hamilton who declared that his attendance at our 2008 Festival was simply “unforgettable”. He was part of our much loved Sunday Symposium with Brian Keenan and the late Nuala O Faoláin. One responder to our competition told us the session unlocked a “wondrous energy” that remains with her to this day. And, the lucky winner of our October competition is Thomas Martin from Dublin. We look forward to welcoming you, Thomas, to the Festival in March. We’re honoured to have acclaimed British writer, Rose Tremain, join us at the Festival in 2017. Over a forty-year writing career Tremain has been the winner of many national and international literary awards. And now we’re offering one lucky Bookclub the chance to get reading in advance for the 2017 Festival. 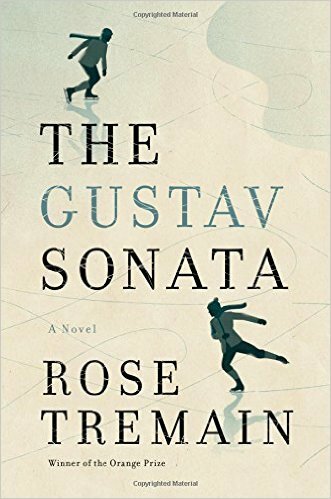 We have eight copies of Tremain’s latest novel, The Gustav Sonata, to give away to a Bookclub. Read John Boyne’s glowing review of the book here. Books provided courtesy of The Ennis Bookshop. To enter, post a photo of you and your Bookclub members (however large the group!) posing with your favourite reads or at a recent gathering. Post entries to our Facebook or Twitter channels with the Hashtag #EBCF2017. Competition deadline, Tuesday, 13 December 2016. The winning Book Club will be chosen at random from the entries. Copyright © 2016 Ennis Book Club Festival, All rights reserved.